Bobby Fischer was one of the greatest – if not the greatest – chess champions who ever lived. A complex character to say the least, Fischer’s gift came with a price; the genius was bundled along with paranoia and delusions. Playing Fischer, Maguire accurately portrays the frustration that the people close to the real chess prodigy felt, but understood and tolerated because they knew that this was no ordinary guy. Essaying a complex character like Fischer isn’t easy, but Maguire does a pretty admirable job of it. You might just want to bring out that old chessboard after watching this one. 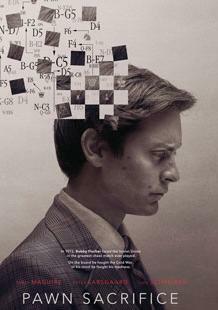 Synopsis:American chess legend Bobby Fischer (Tobey Maguire) and Soviet Grandmaster Boris Spassky (Liev Schreiber) enthrall the world with their intense battle of wills and strategy during the 1972 World Chess Championship.